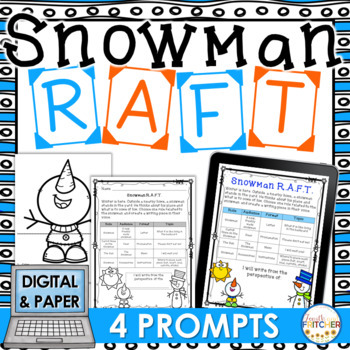 This snowman RAFT writing activity is perfect for a quick mini-unit or to leave for a substitute teacher! 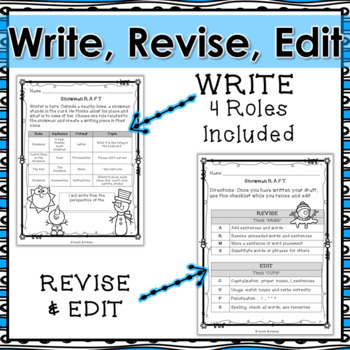 This product contains 4 different RAFTs that students can choose from to write a snowman-themed creative writing piece. Once the writing is complete, you can opt to have students attach the coordinated headers/footers to add a bit of fun to their work. 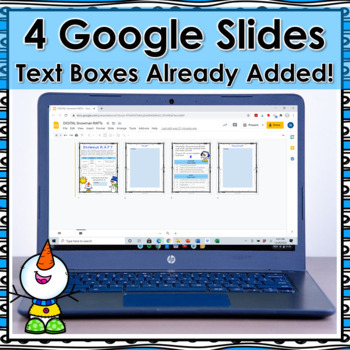 With headers and footers attached, you will have a ready-made bulletin board display of authentic student work! 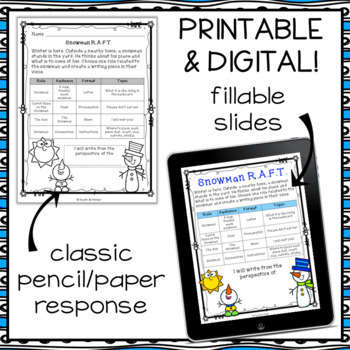 • Student printable with 4 options for a RAFT. • Edit and revise checklist. • 4 coordinated papers for final drafts. • 4 different headers/footers for final drafts. Be the first to know about store discounts, free products, and product launches. Just click the green “Follow Me” star under my store name on this page or click the green “Follow Me” star on my store homepage. Or, click the link below!